Chemical and oil companies, and businesses that genetically modify food claim they have the only solution to reversing the growing problems of world hunger. We at Enviro Energy think there is a better way, by bringing back the use of carbon (biochar) to the soil. I would like to tell you about what we have been doing towards this problem for the last six years. Our original goal was to produce fuel pellets from this otherwise wasted material, soon discovering a secondary use as a weed control mulch and soil conditioner. Grass pellets have proven to be very successful in improving the fertility and workability of soil. Food was grown for hundreds of years with manure, compost and carbon without depleting the soil. This method largely went by the wayside with the discovery of petroleum based chemicals and fertilizer made from cheap oil. Because of this, most topsoil has been depleted of carbon and organic matter. The soil no longer absorbs or holds rain water well. Fertilizer has leached out, contaminating ground water. This history brings me to my central point. Enviro Energy is moving into turning our mulch and soil conditioning pellets into biochar, which is essentially pure charcoal. As I said, this is not a new concept. It involves a process called pyrolysis; burning off the gas (syn gas), ending up with biochar. When biochar is incorporated into the soil, it is very stable. The carbon is sequestered for hundreds of years. Moisture is retained and if fertilizer is used, the amount can be reduced. With the help of friends, neighbors and master gardeners, we have been using biochar in at least twenty-three test plots over a period of three years. The results have been far better than we anticipated. We’ve had results of up to 100% more produce per plant. 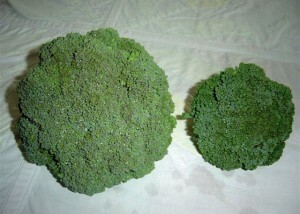 Vegetables, plants and root systems are seen to be larger, earlier, and the color a darker green. Our next step will include testing the nutritional value of the produce. Both grass and biochar pellets return carbon to the soil. Plants absorb carbon from the air as they grow. There is some disagreement among scientists as to whether carbon in the atmosphere causes climate change. It is not the point of this article to debate that issue. We are now working on a char maker that we hope will result in a more efficient and economical way of making char. Future hopes hinge on the best use of the syn gas that is a byproduct of the pyrolysis that turns pellets into biochar. Syn gas may be used for producing liquid fuels. There appears to be no downside. Humans worldwide need food and clean water, so everybody wins, including planet Earth. If someone who reads this can see a downside, please let us know. We’d love to hear from you. Bob Miller can be reached at (607) 829-3183.